Under 18 Colleges Cup Final: Live from Blackburn, Live on Freesport! 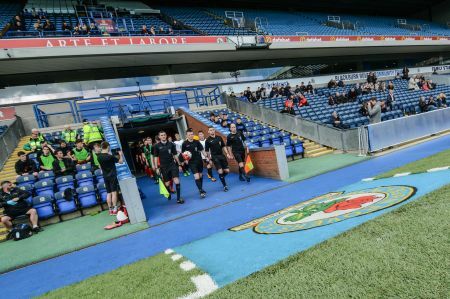 This coming Monday (19), the English Schools FA descends on Blackburn Rovers to crown the best college side in the nation. The match will be the third final played this season and sees Newcastle under Lyme College take on St Charles Catholic Sixth Form College in a hotly anticipated final. Both teams come into the match boasting impressive records in their tournaments this season, making it must see football. The ESFA is delighted that this game will also be broadcast live on television! The game will be covered in full on the FreeSport TV channel which is available on Freeview TV. Coverage will begin at 1pm on FreeSport, which can be found on channel 95 on Freeview and BT and channel 424 on Sky. We are thrilled to be covered on the same channel as AC Milan matches, 5 Star Wrestling and the Centenary Shield, which features the ESFA Under 18 Boys’ England Squad. The two teams coming into this fixture both have truly earned their final places through their grit and determination. 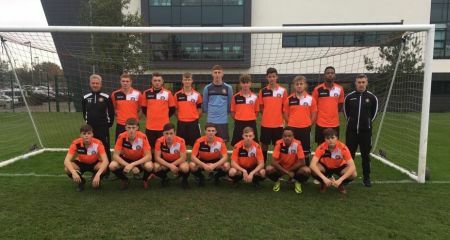 Newcastle under Lyme began their season with an away day at North Shropshire College, the trip would play out as a close encounter with Newcastle edging the game 2-1 on the day. In the 5th round Newcastle were taken the distance by Liverpool Football College, drawing 1-1 over 90 minutes. The game would go to penalties and some goalkeeping heroics would see the finalists run out 4-2 winners. This winning run brought them to a semi-final to take on Preston College. The semi-final would be a tough contest for both teams, with neither able to assert their dominance on the game. The critical game in the Newcastle run to the final would end with a 3-2 home victory and see Newcastle into the championship match. The Newcastle side come into the final having scored 9 goals and conceded 4 goals, keeping one clean sheet. Their opponents will come into the final having travelled over 361 miles to play all of their matches, over twice the distance covered by their opponents. St Charles VI Form College have taken a scenic route to the final but their matches have been less relaxing. The team opened their season with a 1-0 victory over Sir George Monoux College away from home. Clean sheets were the order of the day for St Charles in the next two rounds picking up a 5-0 victory over SEEVIC College at home and a 4-0 victory over Peterborough Regional College on a 94 mile round trip. 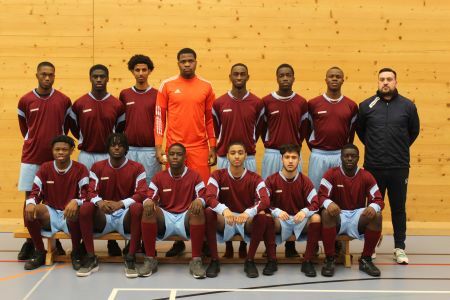 They would beat South Essex College in the 5th round to set up a semi-final against Farnborough College, the reigning Under 18 Colleges Champions. The home tie looked a tough fixture on paper; however, St Charles managed to scrape through 2-1 on the day to earn their first national final place. The match will be a 1pm kick off on Monday 19th March at Blackburn Rovers’ Ewood Park. Entry will cost £4 for adults and will be free for all pupils under 18. We hope to see as many of you there as we can but if you can’t make it along on the day full match coverage will be on FreeSport on freeview channel 95 and Sky channel 424. 15th :: Under 18 Colleges Cup Final: Live from Blackburn, Live on Freesport! 09th :: The ESFA Council – We Are Recruiting!